Gears of Halo - Video game reviews, news and cosplay : What do we know about Gears of War 3? What does Gears of War 3 Game play involve? Gears of War 3 will feature a four-player co-op mode and the introduction of three playable female characters: Samantha Byrne, Anya Stroud, and Bernadette Mataki Another new playable character is Jace Stratton, a battle-hardened soldier who appears in the comic series and is mentioned in the second GOW game. The GOW game will feature new weapons, including a double-barreled shotgun and a Pendulum War Era Lancer, with a normal bayonet attached. Game publisher, Epic has revealed other new weapons such as an Incendiary Grenade, a new heavy weapon called the Digger Launcher that fires explosive diggers that dig through the ground at high speeds. Another new heavy weapon, the One Shot, can take down any enemy with a single round. The Gorgon pistol is now a fully automatic weapon, and is known as the Gorgon SMG. Also, a new turret has been revealed that allows up to four of any weapon to be mounted on it! A fully controllable mech suit will be available for use in certain parts of the game, armed with a machine gun and rocket launcher. 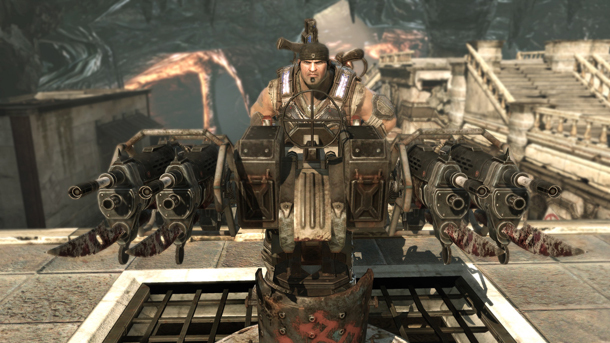 It has two operating modes, in assault mode it is controlled like a standard character, in stationary mode, it locks into position and deploys its armor, as well as cover for other Gears soldiers from under its legs. In terms of the enemy Marcus and Dom must face, the Locust have also expanded their collection of soldiers with the addition of the Savage Grenadier, the Digger Boomer, the Locust Siege Beast, and an armored Kantus - sometimes referred to as the "Kantus Knight". The game also introduces new lambent enemies, such as Drudges, Polyps, Lambent Stalks, and a Lambent Berserker. New character moves in the game include the ability to swap weapons with squad mates (kinda like Halo!) and knock over enemies while going over cover. Players will also be able to kick Lambent enemies away after they have been killed by the chainsaw or bayonet, and perform new executions. 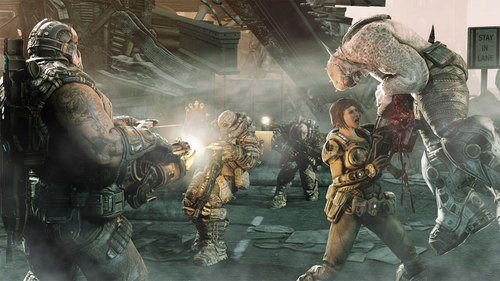 Gears of War 3 will include a new muliplayer mode called Beast mode (sounds like something from an old Transformers cartoon...). 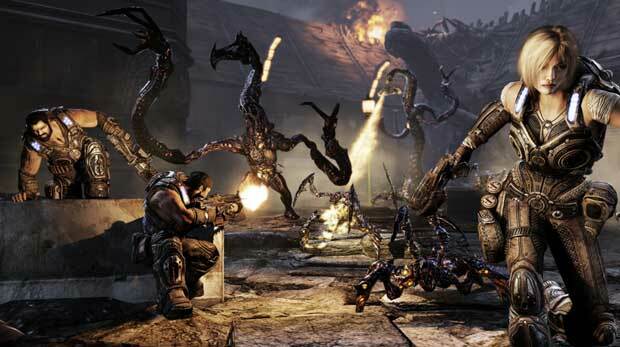 It is the opposite of Horde Mode in Gears of War 2, the player instead attacks COG members as Locust. Tokens are earned for killing enemies, allowing the player to upgrade their character to a stronger class of Locust. Horde Mode will also reappear in the third installment. The classic original multiplayer modes are back in Gears of War 3, but with a slight twist. In "Team Deathmatch", a game similar to Warzone, every team has 20 lives per round, and when the lives run out the game-mode turns into a regular Warzone match. "Capture the Leader" is a combination of Guardian and Submission, and the leader will have to be captured and held for 30 seconds. But, the leader will still be able to struggle and knock his captor around. The struggling causes minor damage and can turn a match around. Also, players can earn awards based on their gameplay and can unlock character variants, and it has been revealed that there will be many choices to choose from. New executions weapon skins, and “mutators”, can also be unlocked. The level up system has been improved and expanded upon from the patched-in level system in Gears of War 2. Along with this, Epic has announced that they will be providing dedicated servers to prevent the issues that Gears of War 2 had with multiplayer. There will also be a playable GOW beta planned to be released early 2011, however more information was yet to be revealed other than you can get access to the Beta by buying Bulletstorm . Cornflakes for breakfast I see! 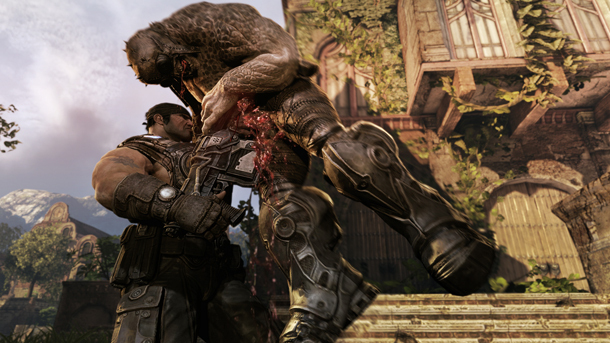 Whats the plot setting of Gears of War 3? Eighteen months after the fall of Jacinto, the Gears soldiers have moved to the island of Vectes and are living aboard a converted aircraft carrier called the Raven's Nest. The government is disbanded. The imulsion fuel that once powered Sera's cities has infected and mutated members of the Locust, causing them to become Lambent. The Lambent are evolving into a new enemy that threatens both the Locust and humanity. The Stranded also live on the island along with other survivors from E-Day. According to GOW's Game Director, Cliff Bleszinski , the Gears 3 will "answer the majority of the questions that players have about the history of the world and what's going on". Hopefully it will do this better than the final episode of Lost!